Her glorious voice is stilled. Joan Govich Coso, born January 20, 1932 in Lorain, Ohio, passed away peacefully on July 2, 2018 surrounded by family. 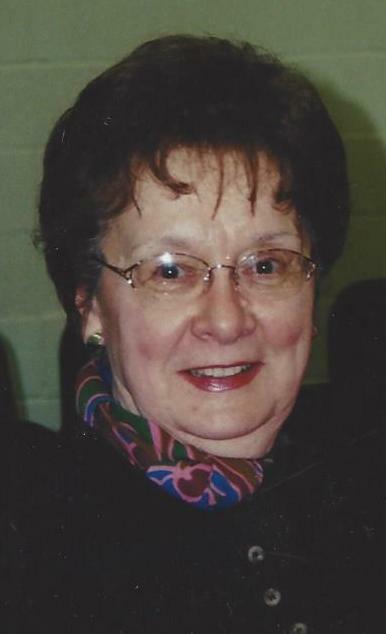 Joan was a lifelong member, choir member and choir director of the St. George Serbian Orthodox Church in Lorain. A 1950 graduate of Lorain High School, Joan sang the leading lady roles in the school's elaborate operetta productions "The Fortune Teller" and "The New Moon" under the direction of the respected Howard Hanson. She studied voice with esteemed Burton Garlinghouse as his protégé at Baldwin-Wallace College in Berea, Ohio and was a member of her beloved Bach Chorus. Joan was also a featured soloist with various Serbian Tamburitza Orchestras wherein she met, married and created beautiful music with the late Serbian tamburitza player Michael Milan Coso of Cleveland, Ohio, a well-respected journalist with the Cleveland Press, Lorain Journal and a feature writer for the Elyria Chronicle Telegram. Joan was also a long time member and soloist with Amherst Community Chorus. Joan retired from the AAA of Ohio where she was the head domestic travel counselor for well over thirty years in downtown Cleveland. Joan was the daughter of the late Michael G. and Mary P. Govich and sister of the late Dr. Bruce M. Govich. Joan is survived by her devoted children, daughter, Diana Coso; son, Michael Robert Coso (Pamela); daughter, Elissa Coso (David Milosovich); brother, Dennis M. Govich (Lori); sister, Milica Govich Vukasovich (John); grandchildren, Vincent I. Pacetti (Danielle), Brian M. Pacetti (Andrea), Michael A. Pacetti (Marie), Brya J. Coleman (Jayce) and Michael M. Coso II (Jeannie); and great-grandchildren Khaleb, Ayden, Alexxa, Joviana, Kaydence, Cecelia, Luca, and Aria. Joan's bubbly personality, loving nature, angelic, crystal-clear soprano voice will be missed by all who knew her. A message from her three children: "Thank you, Mom, for being there for us and giving us your undying love and support. You are forever in our hearts. Your memory and beautiful voice will be eternal."